I took a break from writing to find ways to eliminate pests that have been comfortably living in the medium and chewing away on the young tender roots. I guess we were negligent and did not notice signs of these silent critters grinding away on our precious possessions. Pic 1: Lesion nematodes effect on roots of Cycnode Wine delight. Pic 2 & 3: Systemic disease on Miltonia caused by pill bug/sow bug feeding. Pic 4: Root abrasion by pill bugs/Snails. The pests we were harboring were (in order of destruction) ; pill bugs (sucking and chewing on roots), Snails (chewing), lesion nematodes (drill inside the roots and sucking), Spider mites (sucking), soil mites (sucking), springtails. To know what’s hiding under your orchids, I would suggest spraying some form of essential oil mixture. The easiest available is a spray of garlic extract. Grate 3 big cloves of garlic and add to 100ml of water. Add three drops of dish detergent, close the container and give it a good mix. Let it sit for about 24 hrs. Give it a good shake a couple of times in between, if you remember. After 24 hrs, filter the garlic potion through a piece of cloth to remove the particles. Now add the filtrate into 1-1.5 liters of water and spray on the base of the orchids. Drench the whole medium. If there are any insects in the medium, the spray will stress them and they will start emerging to the surface to cool off. I started by organically controlling the pests by spraying with neem oil, garlic extract, orange peel extract (D-limonene), Chilli extract, commercially available essential oil pest sprays, insecticidal soap and a combination of these. I tried these at least for two months on a regular basis. All to no avail. Then I convinced myself to check out some hard chemistry options. However, I wanted to use the synthetic chemistry products as minimally as possible. 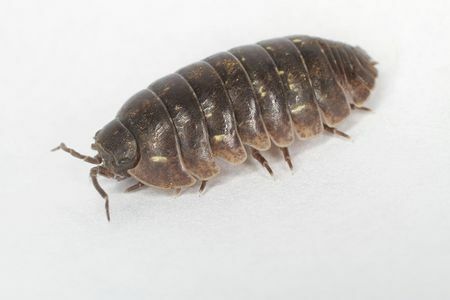 My primary target was the pill bug (rollie pollies) cause they were the most destructive. I checked out the shelves at Home Depot and found 1L of Black Flag ($4). NOTE: Ensure proper protection equipment while handling chemical actives. Properly read labels before using this or any insecticides. The active ingredient is zeta-Cypermethrin (0.2%). 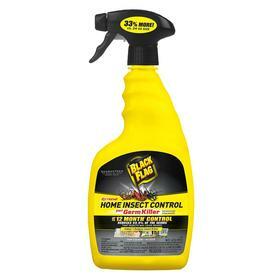 Although this was a ready to use spray bottle, I wanted to find the lowest effective dose for the pill bugs. I collected some pill bugs from my orchids (at this point I had lots to test on) and put them in a petri dish and got to work. A dialogue with my wife, I’d like to share while doing this. Wife: Are you torturing the bugs? Me: No, I am optimizing dosage. Wife: …..Yeah, you are torturing them!!! 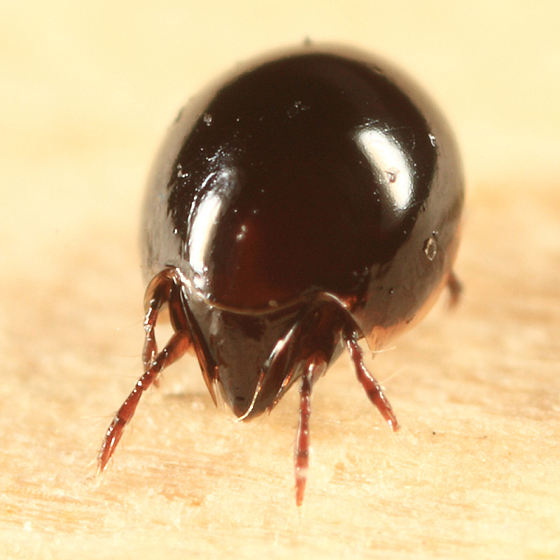 Anyways, I found that a dilution of 100 times of 0.2% Cypermethrin (Final concentration 0.002%; 10ml of Black Flag in 990ml of water) was still very effective at neutralizing the pill bugs. Also, further improving the effectiveness of the mixture is to add neem oil or garlic extract to further stress out the pests. So one liter of Black Flag can go a long way, especially if you have a several plants or a green house. One round of spray and that was the end of pill bugs. I have not seen any since then. I had found new life, new hope. My fight was not over yet. 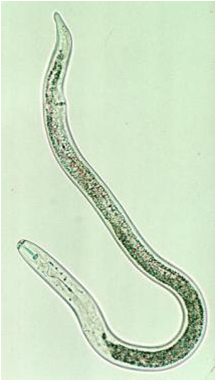 I still had the nematodes and the mites to deal with. Permethrin based creams are used on humans for scabies and lice. It is also used similar to DEET as insect repellent for humans to keep away ticks, mites and mosquitoes. 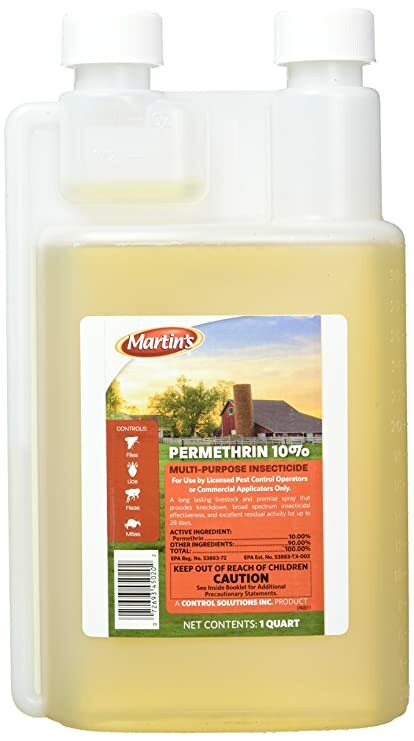 I was convinced and purchased from my local farm store a container of 10% Permethrin ($13). Again, I wanted to find the lowest effective dose. Typical, insect repellents have a concentration of 0.1% active Permethrin. So I went with 100 times dilution; 10ml of 10% permethrin in 990ml of water. Again, to further improve effectiveness, I added neem oil and garlic extract to the 0.1% Permethrin spray. 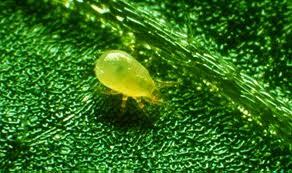 ………..And that was the end of lesion nematodes, spider mites and soil mites. TOTAL SATISFACTION relieving of my orchids of most of the pests. Roots have started to pop out slowly and shoots shooting up as well. Overall there is a new energy. …But still haven’t found a good solution to Spring tails and Snails. We still manually pick out snails when we see them. I will leave you will few of our recent blooms. Please, share what pests you have dealt with and how. Hope you had a good week. This time I am going to share a method I use for flasking, which is simple and doesn’t necessarily need a Laminar hood. I use 6% sodium hypochlorite solution (Chlorox) as stock solution for seed sterilization and surface sterilization of the sowing agar surface. Let me try my best to break it down. A little history first. I got into flasking about 2 years ago and after several attempts at building my own laminar flow hood with axial fans, centrifugal fans with HEPA filters and having initial hits and misses and lots of frustration, I decided to go the chemical way. Since a lot of information was available for sodium hypochlorite, I decided to try and optimize the dose of NaClO (sodium hypochlorite) that is seed safe and provides the necessary surface sterilization. I produce my own seeds and so far had success with Phalaenopsis, Dendrobiums, Phaphiopedilums, and Miltonia. I collect dry seeds from ripe pods so I can store them longer. After I scrape of the seeds and separate the chaffe, I put them in micro centrifuge tubes and refrigerate them. Note: Please, wear the proper personal protective equipment as needed, safety glasses, gloves, etc. I am not responsible for any injuries or incidents caused by improper use of chemicals or equipment. I begin by preparing my media in flasks at least a day before I intend to sow. I developed my own media, which is a simpler variation of P668. Autoclaving is performed using a regular pressure cooker. I autoclave three elements namely; 1) Flasks with media , 2) Water for seed sterilization and, 3) water for seed sowing. For 2 and 3, I add a dab of dish detergent to help lower surface tension of water and help improve seed wetting. For this step, it is very important to determine the wettability properties of your seeds. Seeds of Stanhopea, Gongora, Phaps and some others that are “floaters”, need to be soaked overnight to completely wet them and ensure they sink. The seed sterilizing and washing is performed in microcentrifuge tubes. Make a 4% solution of Chlorox using the autoclaved Water for seed sterilizing (number 2 in the autoclaving elements). This can be done by adding 2ml of Chlorox (6% solution of NaClO) to 50ml of sterilized water and mixing well. This gives us an active chlorine concentration of about 0.25%. We will use this solution for seed sterilization. Perform the addition in the sterile enclosure, if you can. Make a 1% solution of Chlorox using the autoclaved Water for seed sowing (number 3 in the autoclaving elements). This can be done by adding 0.5ml of Chlorox (6% solution of NaClO) to 50ml of sterilized water and mixing well. This gives us an active chlorine concentration of about 0.063%. We will use this solution for seed sowing. Fill the centrifuge tubes to 3/4 level with the contents of Tube A we just prepared. Now use a toothpick or a similar tool and dip it into the seed storage microcentrifuge tube and pick a few seeds(as shown). Make sure the toothpick is completely dry when you pick seeds. Now place the seeds in the sterilizing tube, close the tube and shake well. We want the seeds to eventually sink to the bottom say in about 15 minutes (as shown). Now spray the enclosure with 70% isopropyl alcohol to sterilize the surfaces and wait for 15 mins while the seeds are being sterilized. After 15 mins, put on your gloves and sterilize them with 70% isopropyl alcohol. Now slowly enter the enclosure and empty the contents of the pipette into the waste water container. Then, slowly open the microtube with the seeds and pipette out the 4% bleach supernatant, making sure you do not disturb the seeds that are by now sunk to the bottom of the tube. Dispose the supernatant into the waste water container. That’s all my friends. Any little contamination you may have introduced should be kept in check with the NaClO. I still have (very little) contamination from time to time using this method but way way better than before. Also, I do not replate because with this method, I can control the amount of seeds so I do not get overcrowding. Also, if your seeds are sensitive to NaClO, you can try lowering the dosage of Bleach in Tube B to 0.75% or lower. Being my first blog ever, we wanted to introduce you to our small but ever growing orchid garden. We currently have over 300 “adult” orchid plants and over 500 “babies” and “teenagers”. We started with blooming stage plants and transitioned into pollination, hybridizing and flasking (Let’s save that story for later :). Our orchid journey started in 2012 in the beautiful college town of Logan, Utah. That’s where I met my wife Lucia, while we were graduate students. Lucia had grown a few orchids before and introduced me to the beauty and variety of these wonderful creations. We realized our calling of orchids together. We started visiting the local grocery store ‘Smiths’ and being the grad students we were, our senses drew us towards the sale section of the store. There we found great deals on mostly Phalaenopsis orchids that were done blooming. We picked several of them. Some of those still continue to bloom for us. Note: During that initial phase, we also purchase a Phalaenopsis that displayed bright “blue” flowers as shown in the pic below. Only to find out that the flowers were dyed with a blue dye. They do mention that on the label but then who reads stuff, coz “ain’t nobody got time for that” :). Since 2012 we moved around several states in the US, sometimes together, sometimes apart from each other. Our careers took us through Salt Lake City, Texas, Wisconsin, Indiana, and finally Kansas. Drifting through, we explored several orchid nurseries the notable of those are Orchid Dynasty, UT; Orchid Garden and Nursery, Madison, WI; Hausermann Orchids, Chicago; Natt’s Orchids, IL; Orchid Express and Leasing, Houston; Clown Alley Orchids, Houston; Bird’s Botanicals, KS and several others. We are currently in Kansas City, KS and each day trying to overcome weather, bugs, diseases and multiple challenges to keep our “Chids” happy. Sharing some pics of our plants below and hope you can be with us as we keeping growing. Thanks for reading. Until next week.